Lego, that most timeless of toys. I had loads of space lego and used it to make all the toys I wanted but did not have; so I made lego tanks, GI Joe, Zoids – I enven tried lego Transformers but that failed. 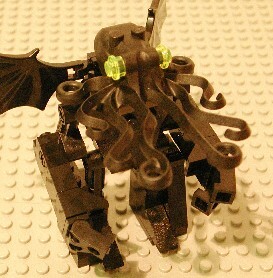 However better lego-creators that I have mashed up the Mythos with Lego and made some amazing stuff. Enjoy! 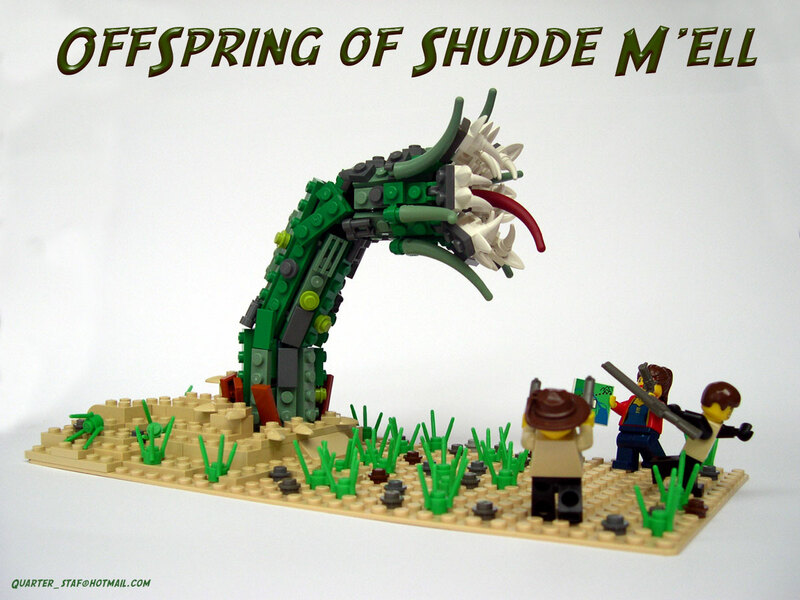 Let us start with a Lego Cthulhu himself! We are not done yet. 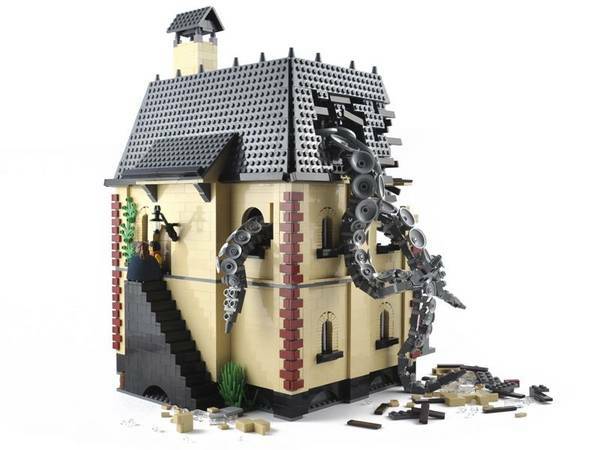 There is this amazing house being attacked by tentacles– in Lego!! !